It’s now been 16 years since the national close season was abolished for enclosed waters, leaving the decision on whether a lake is closed or not down to the discretion of the venue owner or controlling body. This always creates a dilemma between good fishery management and the pressure to provide a marketable service that anglers are willing to pay for. I also think losing a close season has removed some of our angling traditions and some key opportunities to learn more about our chosen quarry. Most anglers today, especially our younger brethren will have never experienced the excitement and anticipation of an opening night. In the past I would get so excited waiting for the day to arrive that the night before usual meant no sleep. The extremes I would go to could also mean being at the lake days before just to ensure I got the swim I wanted. It was all part of a very special magically time where enthusiasm was at its peak and hopes for the future were very high. The forced lay-off between March and June wasn’t always welcome but I thought essential to recharge the enthusiasm and reassess plans made and results achieved. It also gave you time to complete lots of preparation like lake mapping, pre-baiting, tackle organising and swim clearing in some cases as well as time to observe your chosen quarry in a relaxed state. All essential work required to ensure you had a successful season. It became apparent to me quite quickly that the Carp’s behaviour during the close season was completely different to that found after. It’s as if they know the difference between being fished for and not. For instance, the most difficult venue I have ever fished was a small four acre gravel pit near Staines. The lake had a stock level of approximately fifty fish but despite this, a total year’s captures for everyone fishing there never exceed thirty. It always had a number of full time anglers as well, making the amount of rod hours phenomenal considering the lakes size. The fish were very wary and never made the same mistake twice. However, during the close season you could almost hand feed them with anything and they showed no signs of caution until that first line hit the water and instantly everything changed. The opening fortnight of 1989 saw a total of four fish banked despite nearly 10 anglers fishing every day. 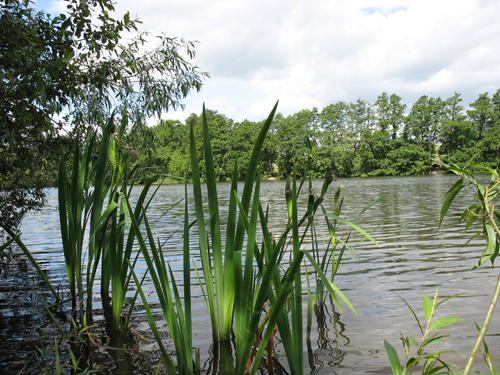 I witnessed Carp behaviour like I’d never seen before – all of which gave me a much distorted view of the way to catch. I fished there for not quite 2 years and somehow managed to bank six fish all caught differently, which leaves you with one mind set, confusion. The circumstances we will never know are how difficult would that lake have been if there hadn’t been a close season? Sadly the lake is no more and the fish were moved in 1990. I now know it wasn’t the Carp’s behaviour that created the problem but our actions and our ever constant presence. I fully support a close season however I think the old period from the 14th March to 16th June wasn’t really applicable for Carp. Carp in the UK are generally the last fish to spawn and need quite an extended period of warm weather – something we don’t really experience until well into May. Leaving Carp alone during and after spawning is essential to ensure they recover from this stressful event. Allowing them to recover also ensures they will have a better chance of continuous growth a stressed fish does not grow ask anyone that has knowledge of aquaculture. I also believe the abolition of the close season has contributed poor autumn fishing. I know one lake I used to fish in Norfolk that was an excellent autumn venue until they removed the close season. Generally you could expect the fishing to pick-up, after the normal late summer lull around late August and the peak of certainly my action would be around mid-October. Not any more it’s not unusual now for the lake to only produce a handful of fish after September and the last fish of the year can be banked as early has the first week of October. Another aspect I have noticed is Carp stocked in lakes with close seasons seem to grow more consistently. I’m sure this is all down to stress levels and giving the fish an opportunity to behave and feed freely without a fear of being caught. Certainly the owner of the world record holding venues Euro Aqua’s attitude to this aspect is to close the lake for two months each year when they are likely to be most active i.e. July and August. I currently fish two venues that have a traditional close season and both are totally different in size, stock level and type. 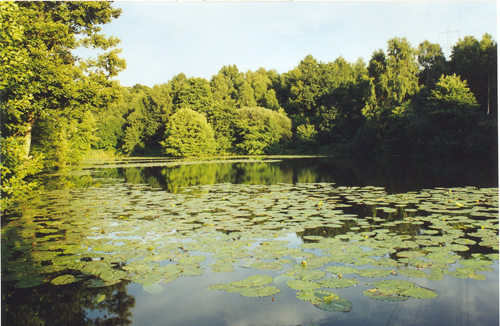 The larger of the two is around 100 acres and is a traditional man made estate lake that dates back to the 19thcentury. The other is a 26 acre clay pit less than 12 years old. However, both have or currently achieving some of the best weight gains I have ever experienced, where similar venues in the same areas with no close season are struggling. There will be other factors to consider but have a close season I’m sure does make a significant difference. My mental start to this year did begin on the stroke of mid night on June 15th. The weeks prior to this I had done my preparation and adjusted my gear to suite. I opened on the smaller 26 acre clay pit mainly because I knew the other would be very busy for at least the next two weeks and it is days only. The swim I chose was dominated by a marginal weed shelve that extended for about ten metres directly in front of the swim. From that point on the lake gradual increases in depth to about 15ft for as far as you can cast. The obverse place to fish was on either side of the weed, so I baited two spot over and one in the margin to my left. Whenever, I fish weed waters I like to use a rod that is soft enough to enjoy playing a fish but strong enough to control them when they are in the weed. This balance is sometimes hard to achieve without a compromise in either direction. However, I have now found a rod that is perfectly suited to this situation in my Greys 3lb tc AirCurves. They do the job perfectly. You also need to get your line right when fishing in weed it can in some cases be very abrasive, so a line that is tough if nothing else is essential. At 1.30am the buzzer sounded as a very fast take developed on my middle rod and I quickly found myself attached to a very hard fighting fish that was trying to use the weed to its best advantage. However, a cool approach and the action of the rod soon had the fish fighting in the upper layers and in the net. The fish was a mid-double linear and a nice start to the season. The rest of the night and morning past without any further action and at 7.00am saw me packed-up and off to work with a very big smile on my face. This entry was posted in Techniques and Methods and tagged carp fishing, dave moore, fishing, the session. Bookmark the permalink.